Travelling around the area, or walking as I was when I took the photo above near Magalas, scenes like this are everywhere. 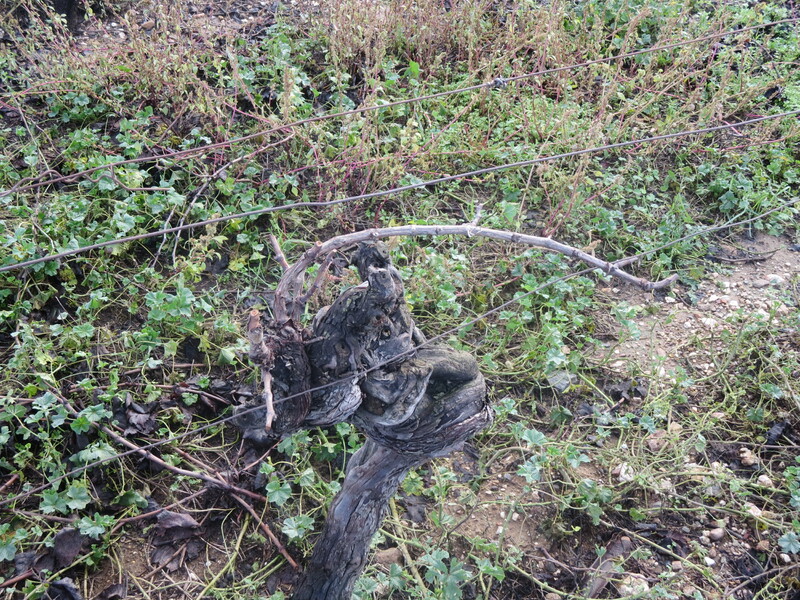 It is pruning time for many viticulteurs. This is known as taillage (or prétaillage when the vines are prepared for a later pruning in the new year). Vines are freely growing plants and if left they would grow too fast, produce too many bunches of grapes which would become increasingly small and lacking in flavour. They would also be more susceptible to diseases such as mildew which would kill the vine in a matter of 3 – 5 years. 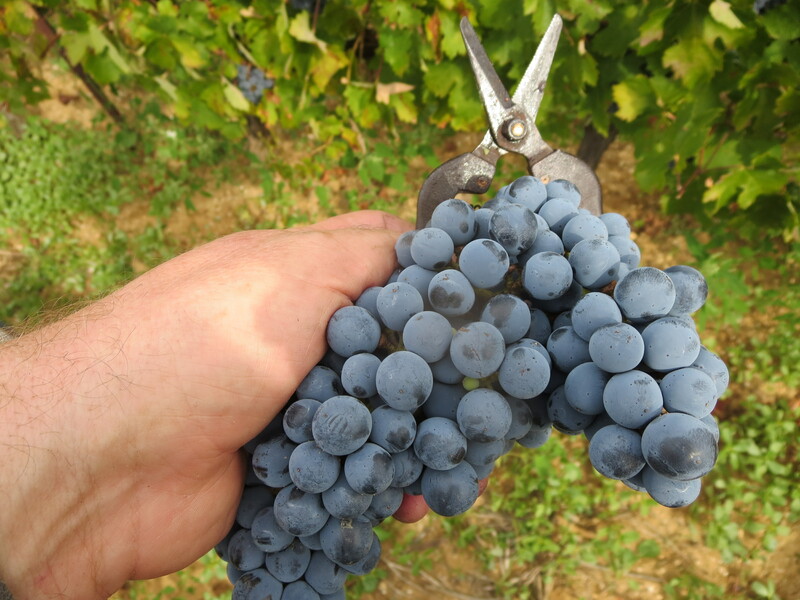 Pruning therefore is necessary to ensure that the vine produces an optimum number of bunches to enhance flavour. 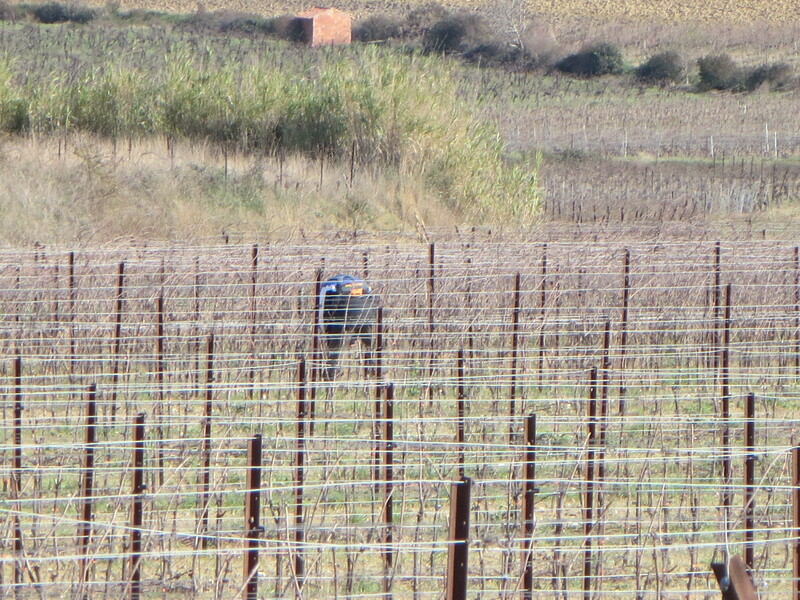 In the case of the viticulteur in the photo who obviously uses a lot of machinery it makes access to the vines for later pruning and treatments easier as the cut vines are trained along the lines of wires which support many vines. The pack on the man’s back is for battery powered secateurs, making the job easier than manual cutting though it is still back breaking work. 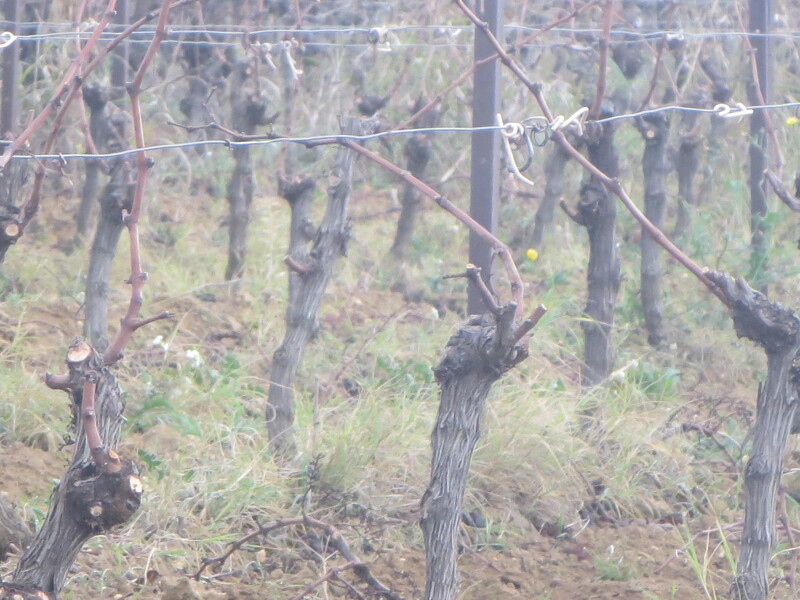 Different viticulteurs will use different systems of pruning. This might depend on the age of the vine, the particular vineyard topography and her/his own traditions. 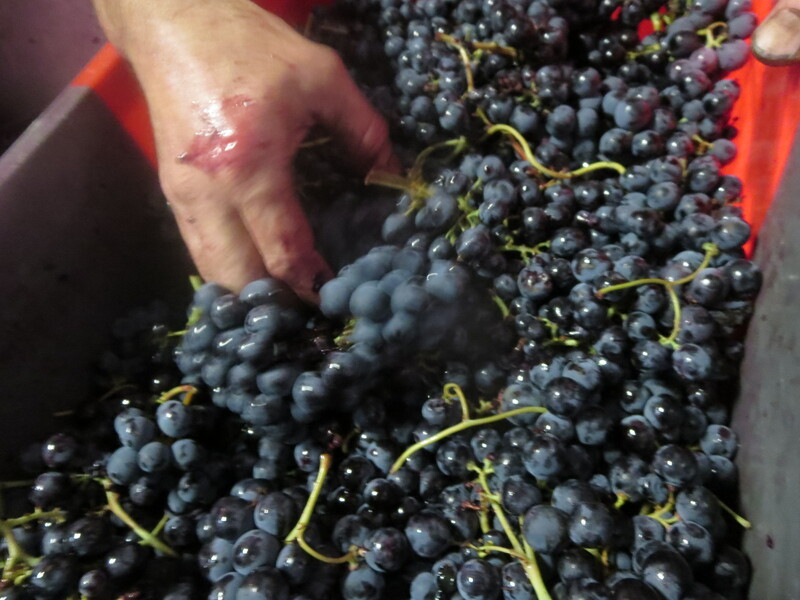 The classic method is known as Guyot, named after the doctor who studied viticulture in the 19th Century. 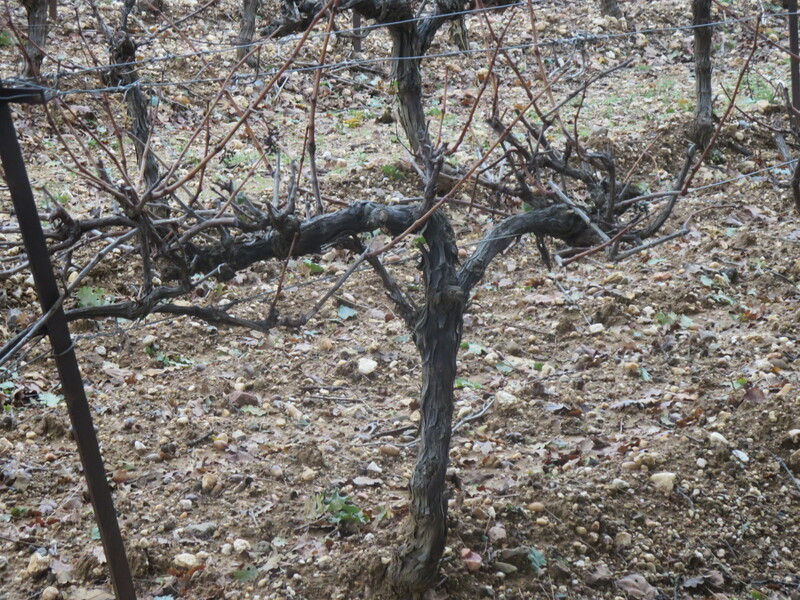 There are variations but Guyot pruning usually means pruning the vine to 2 branches (sarments). One of these is cut short leaving only 2 buds (bourgeons or yeux), the other is longer with around 6 buds. 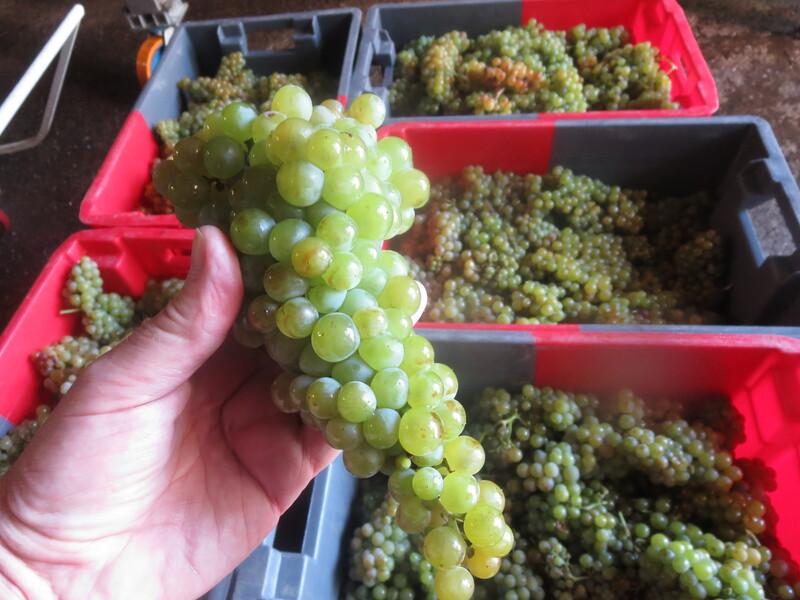 The longer will be the part of the vine to produce grapes in the next harvest, the shorter branch will grow this year and be the fruit bearing sarment the following year. This allows space along the vines for air to circulate to avoid disease. 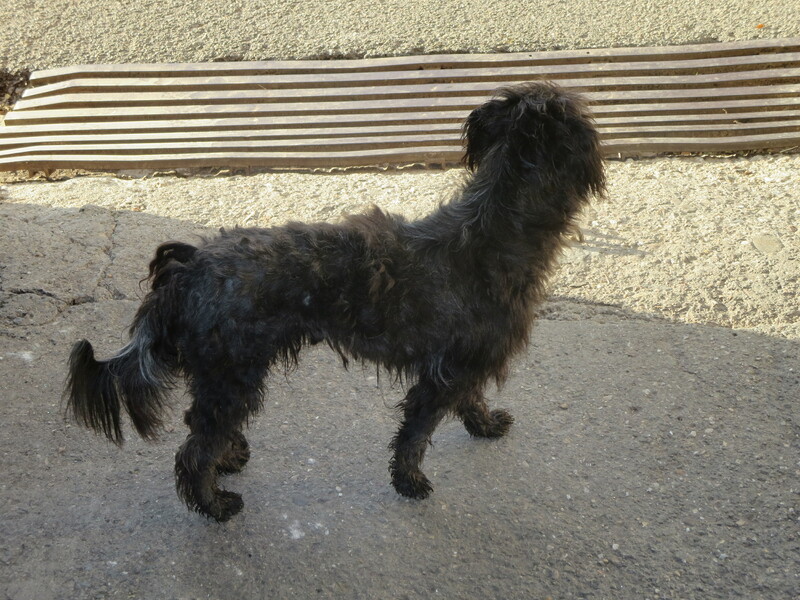 Another system which I have seen commonly used in the area is Cordon de Royat. Here the vine is shaped with 2 branches reaching horizontally in opposite directions (but always along the row). Each branch will have 4 to 5 buds for the development of grapes the next harvest. 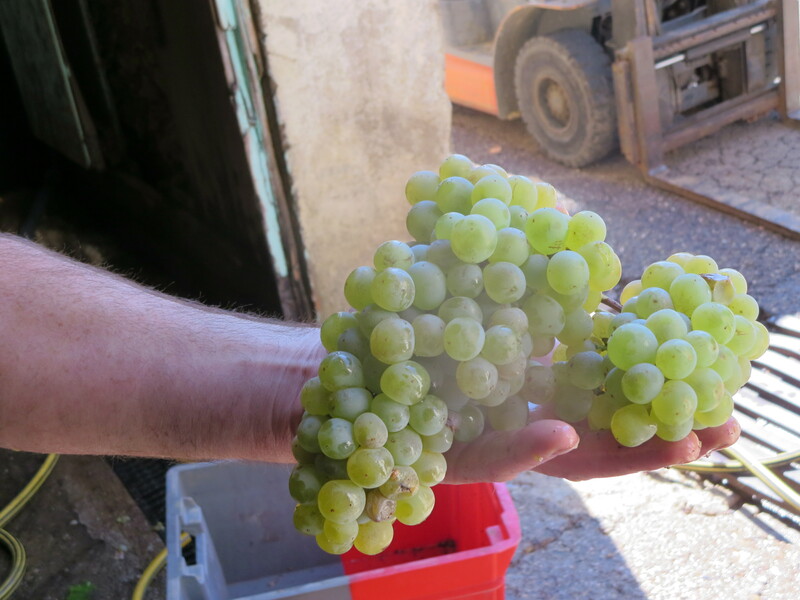 The advantage is that the bunches will grow at a similar height making work and harvesting easier. 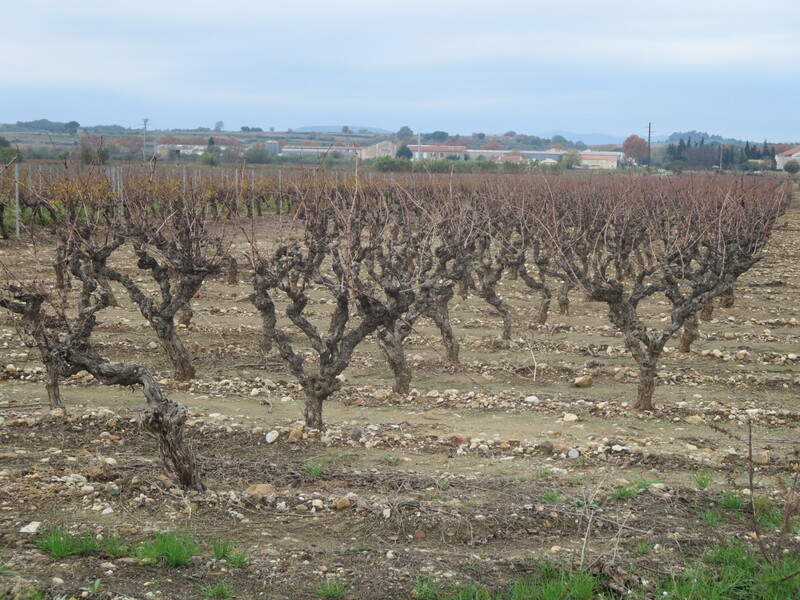 In the Languedoc Roussillon region the hotter, drier climate, together with frequent winds, means that disease should, in principle, be less of a problem that damper regions such as Burgundy or Bordeaux. Many viticulteurs prefer a less interventionist method than training the vines along trellises. 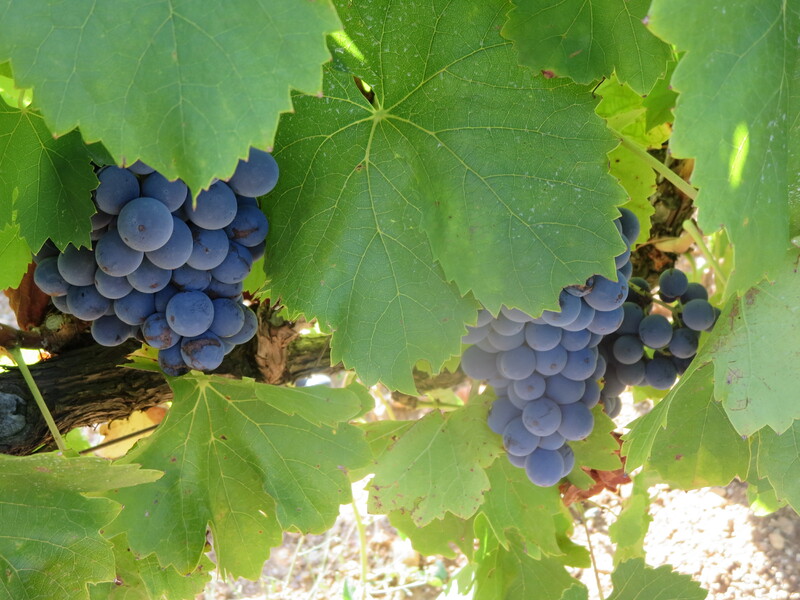 Vines often grow like small bushes, especially varieties such as Grenache and Carignan. Jeff Coutelou prefers to use this method known as gobelet as much as possible. 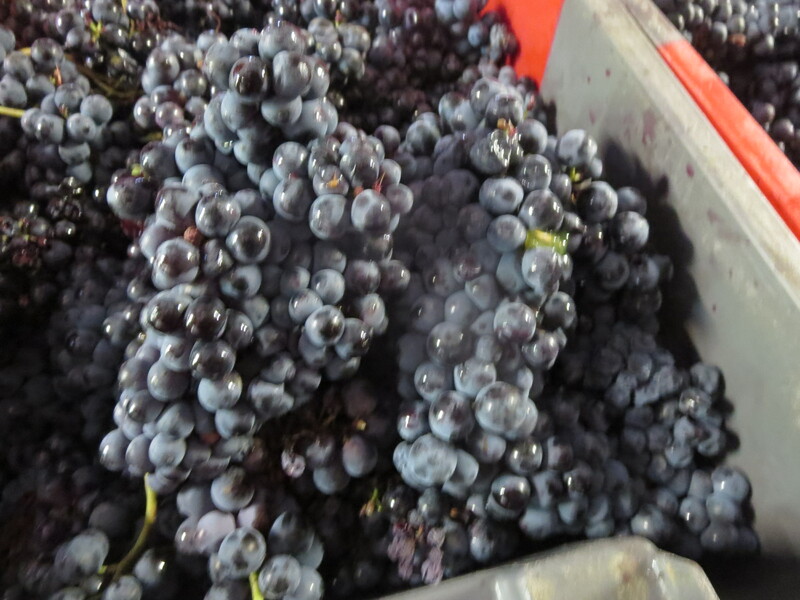 However, there is one other decision which viticulteurs must make. When to prune? As I said I have seen many people out pruning in recent weeks. 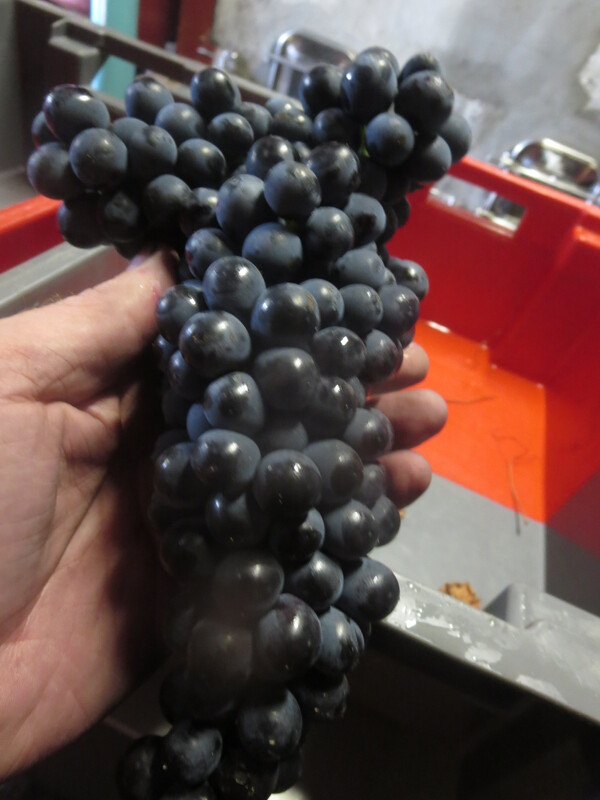 This could be for simple reasons of habit or because as wines quietly ferment and work their magic in the cellars the winemakers have time now to get into the vines. 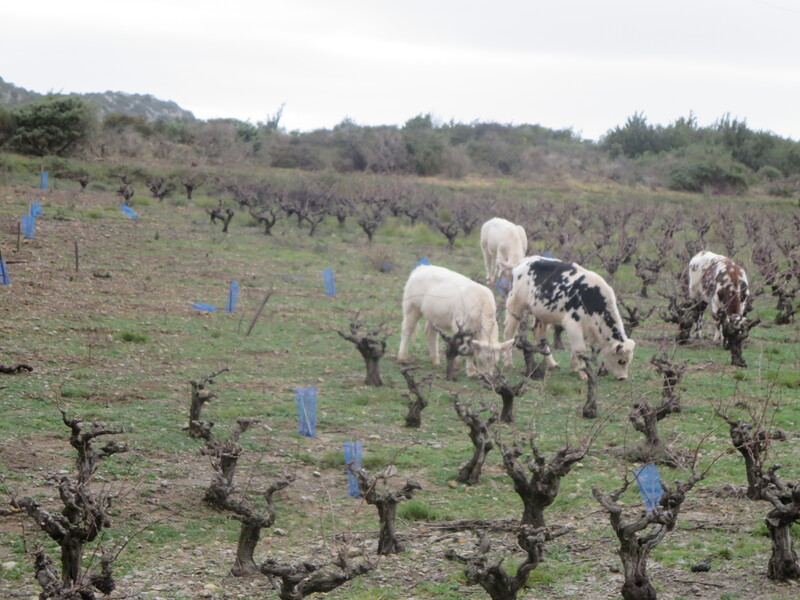 Smaller producers who must do everything themselves might decide that earlier pruning suits their timetable best. Some also like to burn as soon as possible any pruned wood which might have been affected by disease. Jeff prefers a later pruning and so work will begin from January through to March, I shall report later. 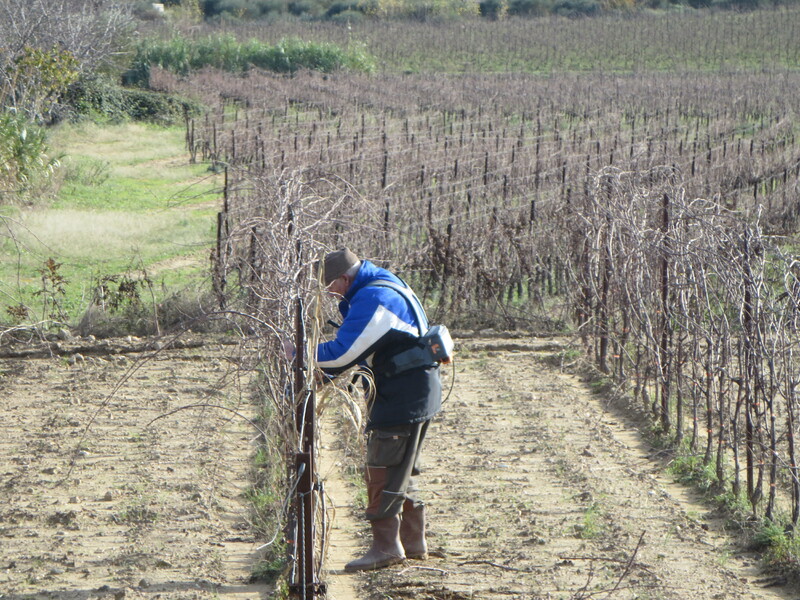 Pruning is seriously hard, repetitive and dull work but it is an essential part of the viticulteur’s year. On a less serious note, not just the vines have been pruned!! 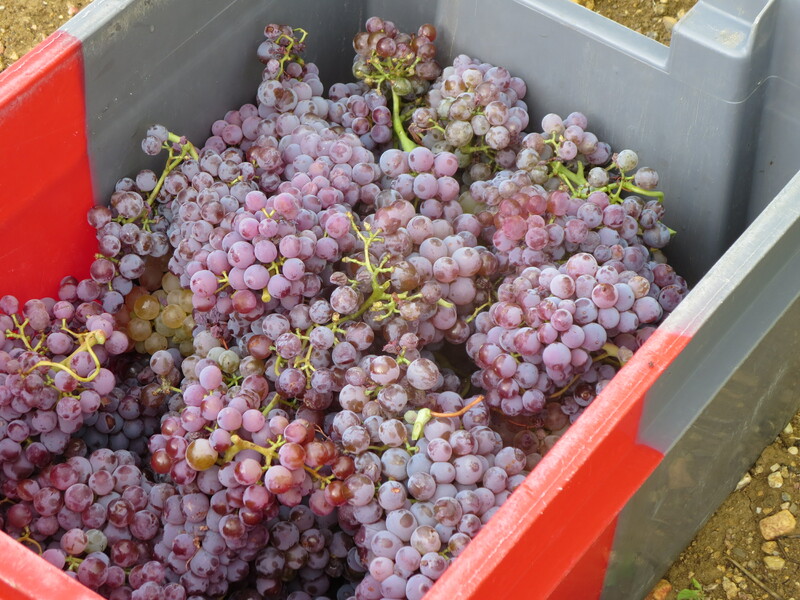 Categories: Vignerons, Vines | Tags: bourgeon, cordon de royat, esca, gobelet, Guyot, prétaille, pruning, sarment, taille, vines, viticulteur | Permalink.